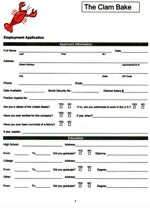 Click on the application image below and print out. Then fill out and turn in to the restaurant. Thanks!